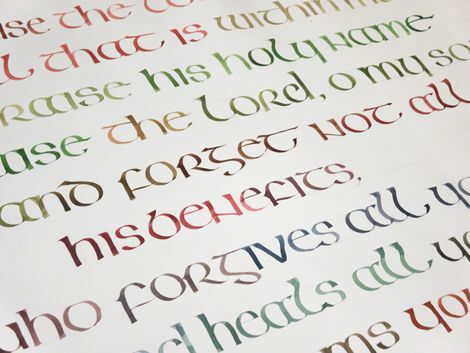 During the day we will study the basic shapes and rules of the letterform to understand the formation of the various Uncial scripts. Then, by applying alternative heights, weights and widths to the letters and using different pen nib sizes we will modernise them for the 21st century and produce a piece of well written text. We will italicise them by making them slope and become more cursive and fluid. Finally they can be enhanced further by adding colour or using a coloured background. Materials are not included in your course fee. The items you will need to bring with you are listed below.